Anyone out there remember a defunked record label called Under One Flag? 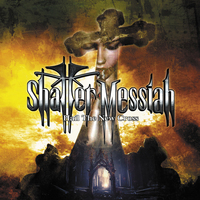 This sub-label of Music for Nations signed many bands that remember of SHATTER MESSIAH. Often featuring members of a famed band, in this case Curran Murphy, (guitars, ex. ANNIHILATOR, ex. NEVERMORE) and Robert Falzano, (drums, ex.ANNIHILATOR). Most of the labels signings traded in technically supreme thrash, but most of the material was so perfect it became boring and refrainless. I´ll start with the highlights. Opener “Disconnected” has a more straightforward approach and a tendency of a refrain. “How Deep the Scar” has the same qualities and a nice guitar pattern. Apart from those two the album is rich in chanting with only fragrances of a refrain, 90´s thrash with little to interest the audience. Some melodic patterns that drown in the overall soundscape of null, but the musicianship is mostly impeccable, only presented in a less appetizing way. I hope the band gives this a thought as they can play and could be much more interesting.